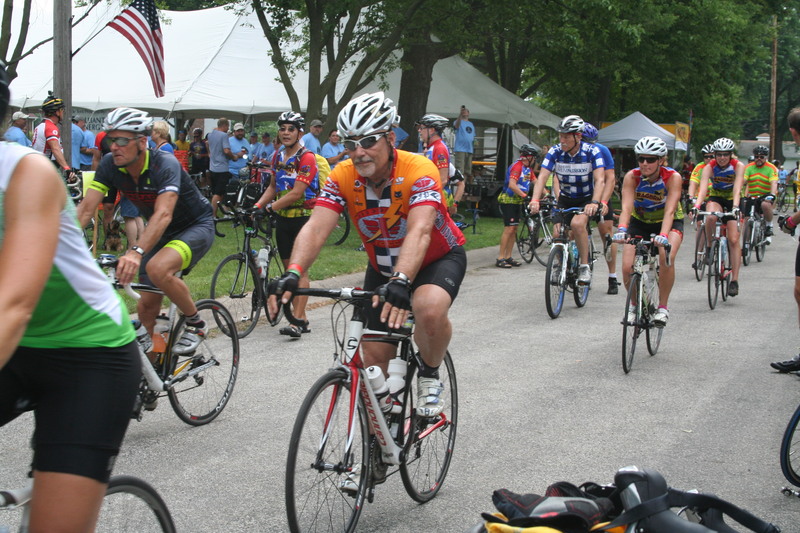 Some RAGBRAI riders stopped in Walcott while others rode through on their way to Davenport, the final destination. Phil Roberts photo. Some of the numbers are in from that Saturday in July when RAGBRAI riders came through Walcott, with many of them stopping. The 2015 Walcott RAGBRAI co-chairs, Larry Koberg, Joe Quick, Kelly Quick and Kris Burt, can’t yet say how many people were served, but water and Gatorade were big sellers on a hot, humid day. Volunteer workers in Walcott sold out of more than 72 cases of Gatorade, 400 cans of pop and 120 cases of water. Awhile back I complained that many restaurants no longer put spoons on the table for their customers, which I think is a huge disservice for those of us who rely on them for eating items like corn, peas and cottage cheese or for stirring coffee or iced tea. They only provide forks and knives. Despite some research I could not come up with a good reason for eateries eliminating spoons. But a friend who is a former restaurateur says spoons are commonly stolen from restaurants. “I will tell you from a former restaurant owner’s perspective,” he said, “spoons are one of the most lost or stolen pieces of flatware in the business. I was ordering cases of spoons to replace those missing from formal place settings. A server at a local restaurant, when pressed, admitted to me that’s why his employer no longer has spoons available. So I think when I dine out, I’ll ask for a spoon when one is not on the table. If I’m turned down, I will make a big deal of pulling from my pocket my own plastic spoon and eating with that. In a previous column, I noted that Elzie Wylie “Buddy” Baker Jr., famed NASCAR driver-turned-commentator, well known for his storytelling ability, was suffering from terminal cancer. He has died at age 74. Thanks to pleasant weather conditions and, of course, the efforts of hundreds of people, the great Mississippi Valley Fair was particularly enjoyable this year. The regional fair is second in size only to the Iowa State Fair in Des Moines.